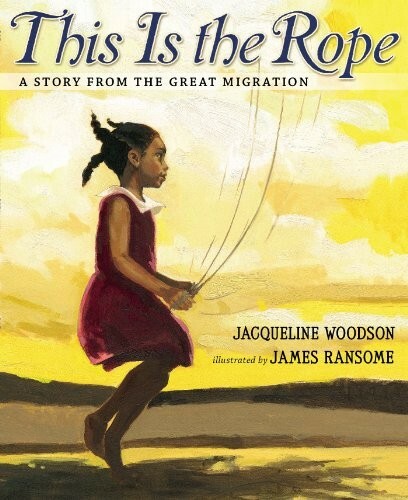 The story of one family's journey north during the Great Migration starts with a little girl in South Carolina who finds a rope under a tree one summer. She has no idea the rope will become part of her family's history. But for three generations, that rope is passed down, used for everything from jump rope games to tying suitcases onto a car for the big move north to New York City, and even for a family reunion where that first little girl is now a grandmother. 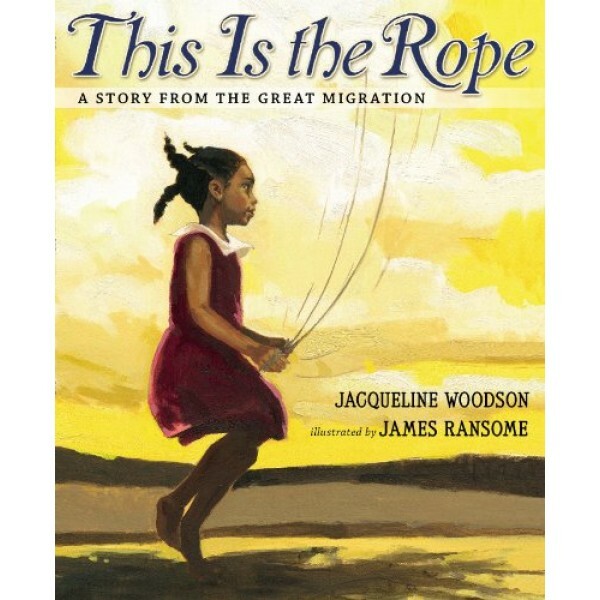 Newbery Honor-winning author Jacqueline Woodson and Coretta Scott King Award-winning illustrator James Ransome use the rope to frame a thoughtful and moving story as readers follow the little girl's journey. During the time of the Great Migration, millions of African American families relocated from the South, seeking better opportunities. With grace and poignancy, Woodson's lilting storytelling and Ransome's masterful oil paintings of country and city life tell a rich story of a family adapting to change as they hold on to the past and embrace the future.